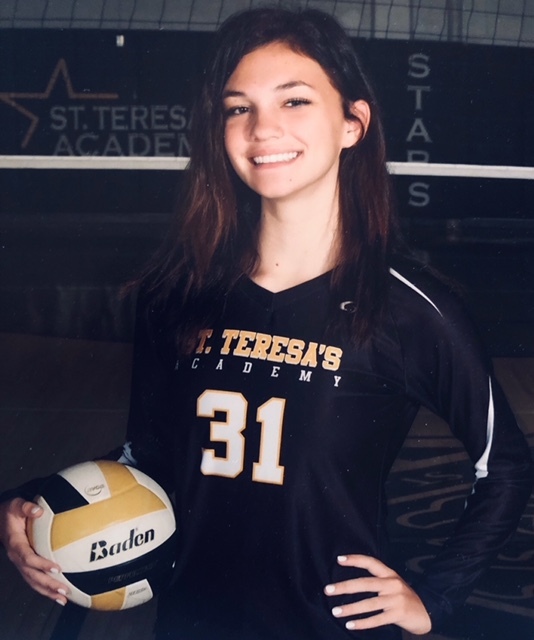 Recent Oakhill graduate and St. Teresa's Academy Freshman ~ Dani Dake ~ has been busy on the volleyball court this season. She plays for Mizuno Club North in addition to playing on the Sophomore team for the STA Stars. Dani was joined on the court by Panther Alum and Park Hill South High School Freshman ~ Gracie Painter ~. 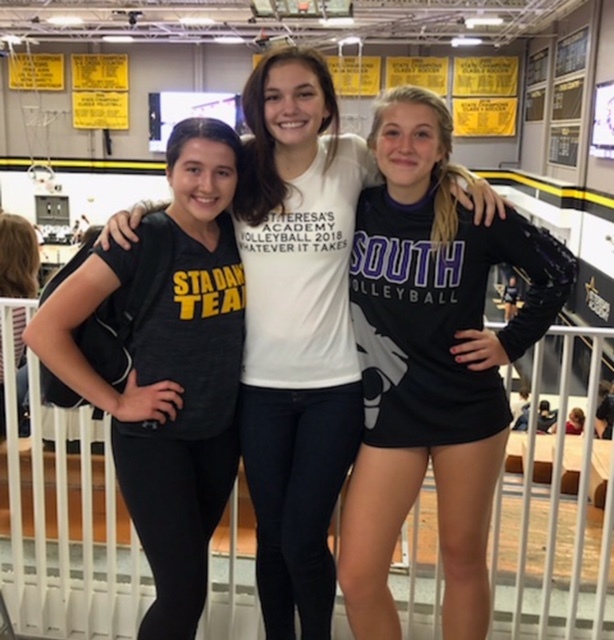 Fellow STA Freshman and Oakhill classmate ~ Olivia DiGerlamo ~ was also there performing with the Stars Dance Team at the volleyball game. Way to go, girls!